After our towing service has picked up the car we make calculations, damage shootings and measurements. 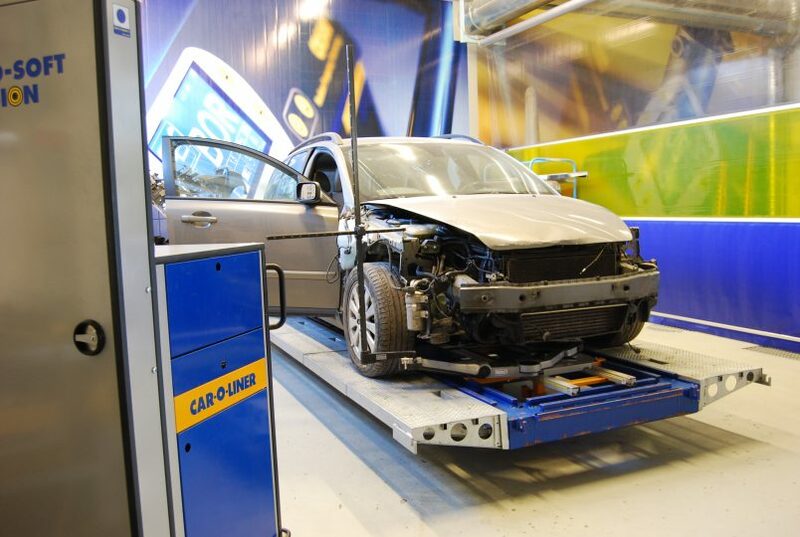 We use the latest technology for example for car body correction and wheel alignment. We get all the necessary spare parts. When all repairs have been made, we paint the car by skilled professionals. To achieve first-class results we use correction and measurement equipment from Car-O-Liner. With car manufacturers’ instructions and vehicle information we can guarantee that the damaged vehicle will always be repaired with special care.